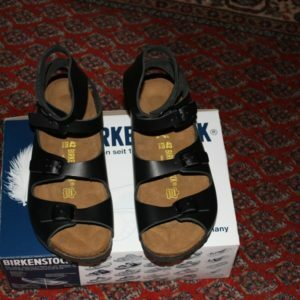 Since my search for new bicycle sandals was not very successfull, I had a pair of Birkenstocks, model “Athen”, get modified by a shoemaker. 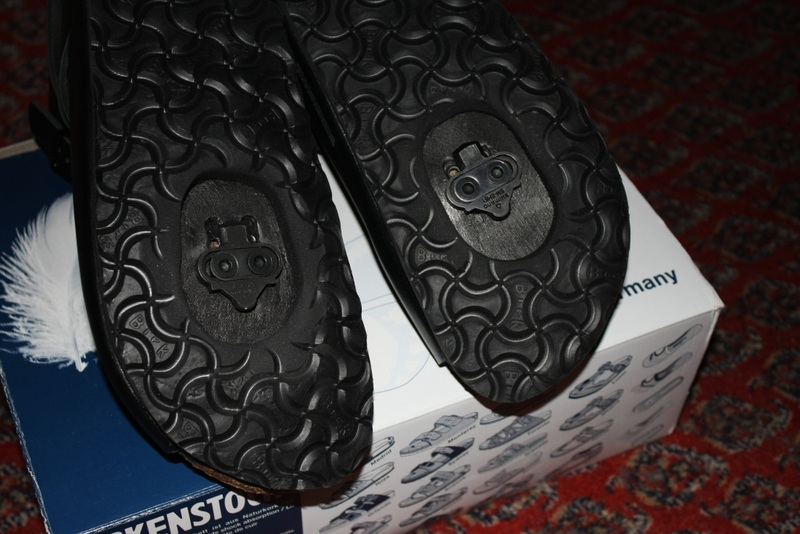 The history: During the months in sommer i liked to drive with sandals by Shimano, SH-SD60 to be precise. After many years a new pair was neccessary in spring 2012. Unfortunately Shimano stopped the production of the SH-SD60 :-(. The successor did not get better but worse and according to reports by some people also more prone to wear. Also the general problem remains that it is impossible to do any repairs. No – with SPD cleats! The soles are thick enough so the cleats don’t scratch on the ground when walking. The irregular carrying out of the openings is generally just a “cosmetic” problem – the shoes work fine anyway. Also the adjustment of the cleats is possible in the same way as in the “original”. The impression on the first test drives was very good – especially when considering that the shoes are also very comfortable when walking. 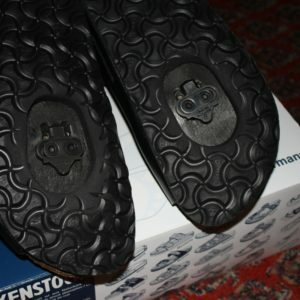 The big adavantage to “plastic sandals”: If neccessary the things can be repaired. Yes, I’m still happy with the sandals :-). 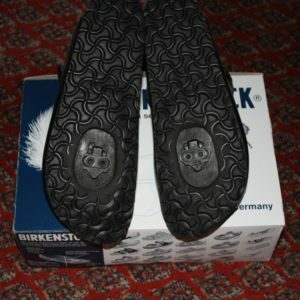 However there are a number of SPD sandals on the market now, so there is no need for custom made shoes any longer. Got my Shimano SPD sandals about the same time you modified the Birkenstocks. 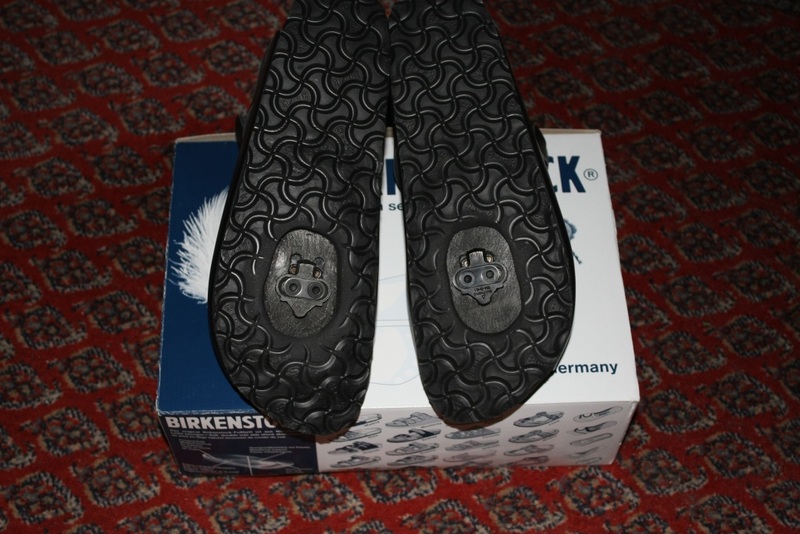 Still use them almost every day for biking and also found them comfortable for 10-mile hikes. Cool article. Nice to see other folks attempting this modifcation. 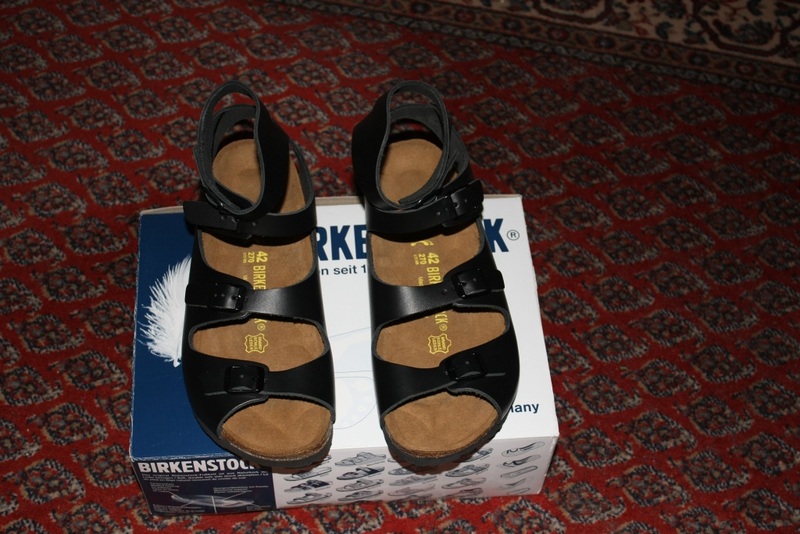 Mountain Soles & Outdoor Threads also built up a pair of SPD Milano Birks for Birkenstock USA.